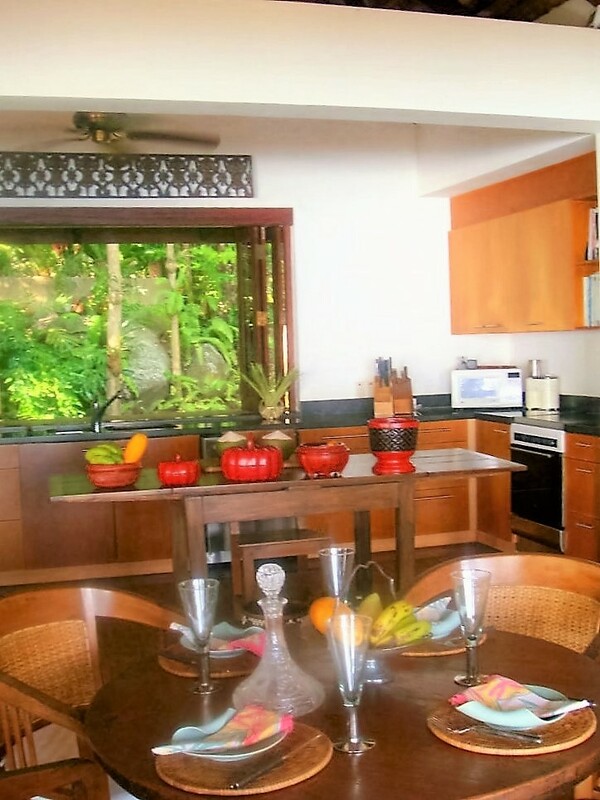 Holiday home, retirement retreat, or rental property – Frederique’s villa is an outstanding investment. 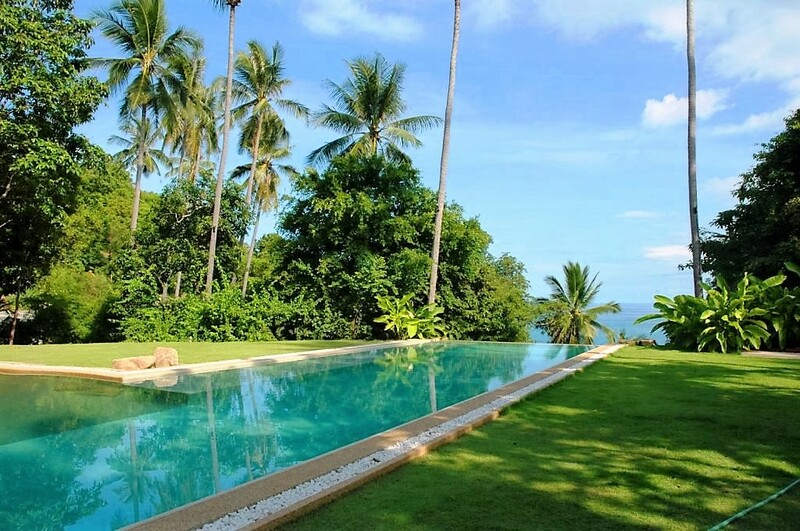 Frederique’s stunning villa is located on Koh Samui Island off the Southern Thailand coast in the Gulf of Thailand. 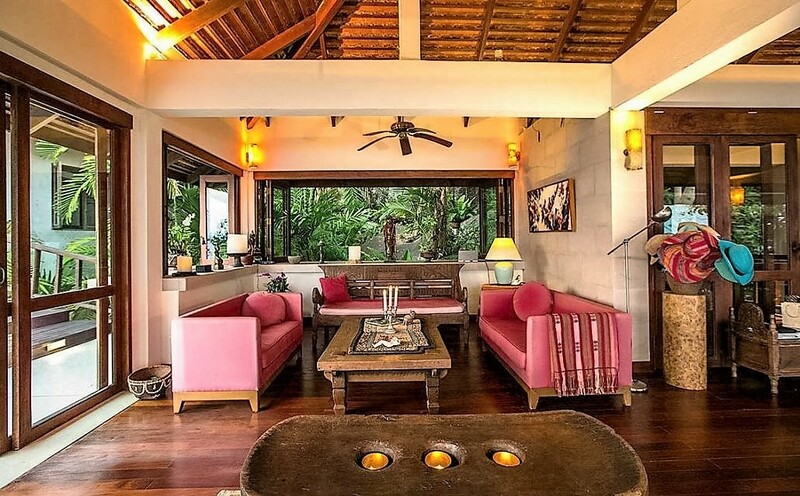 Built in tropical style that merges indoor with outdoor living, the villa is located on a hillside offering panoramic ocean views, coconut trees and lush gardens. 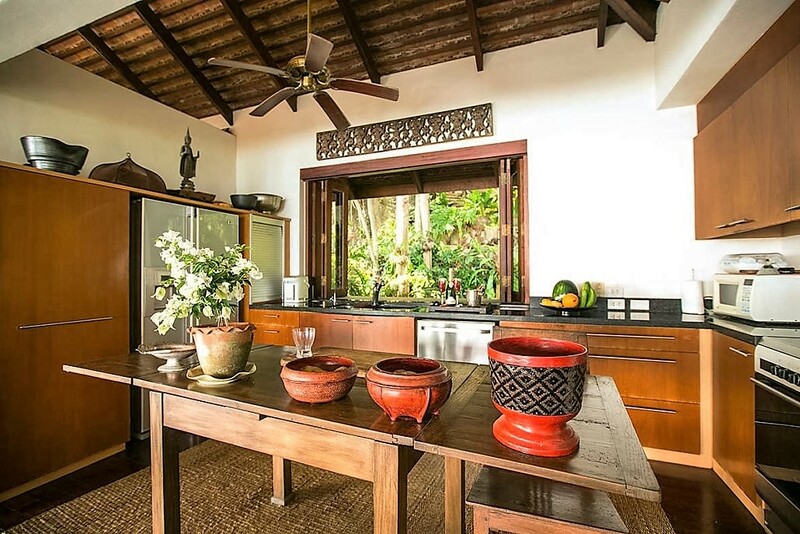 The villa comes “as is” and fully furnished, beautifully appointed with exotic antiques and Asian artifacts that the owners have collected on their travels over 30 years of living in Asia. Frederique’s goal is to provide the villa buyer with a fully furnished, beautifully created home without the stress of a local build. 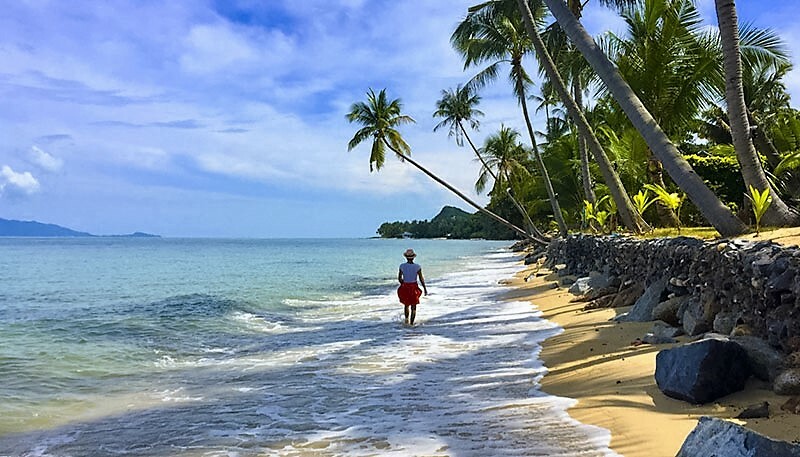 Life in Koh Samui offers a daily lifestyle surrounded by nature, sunshine, long beach walks, fantastic Thai food at local restaurants, and a vibrant social scene throughout the island. Direct flights from Bangkok, Hong Kong, Singapore and Kuala Lumpur provide easy access to Koh Samui every day. Frederique’s villa is designed with the principles of Feng Shui, so if you’re looking for harmony, nature, tranquillity, and a very private protected property, this is a unique opportunity to purchase an exceptional villa. 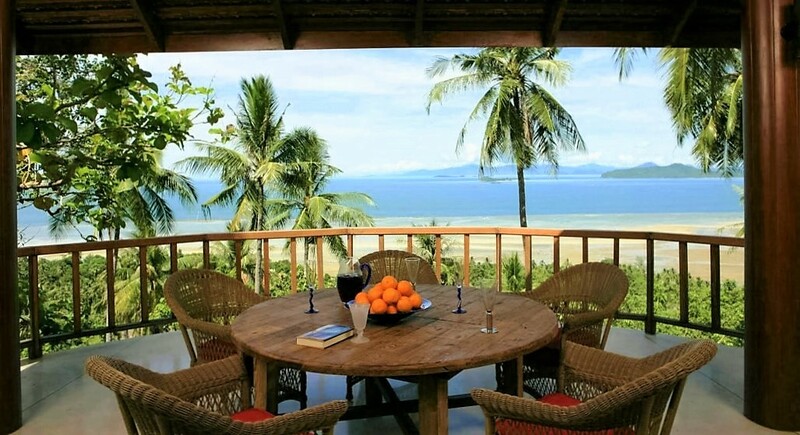 For further information, visit Frederique’s Villa for Sale website https://frederiquevilla.com/ to find video, photo gallery, location, ownership structure, and detailed descriptions of the property. Interested parties may contact owners Frederique and Patrick and quote BAREFOOT LUXE as the referrer. Frederique is available by phone at: +66 (0)892 90 8579 or email: frederique.deleage@gmail.com. Patrick’s phone number: +66 (0)819 56 6206 or email: patcaviness@gmail.com. Villa visits can be arranged by appointment only.